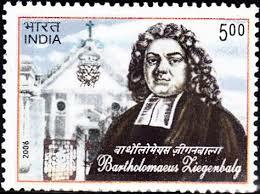 Bartholomaeus Ziegenbalg, the great missionary of South India, was born in Saxony in 1682. He studied at the University of Balle, then the center for the Pietistic movement in the Lutheran Church. He responded to an appeal from the King of Denmark for missionaries, and in September 1706, he and Heinrich Plueshau arrived in Tranguebar (anglicized form of Tharangambadi in Tamil language), a very small Danish colony on the east coast, close to Nagapattinam in Tamil Nadu, on the southeast coast of India, as the first Protestant missionaries in that country. Ziegenbalg began his life in Tranquebar first with the help of interpreters and translators. However, he was determined to learn the local language Tamil, and mastered it in such a way that he would be able to use it for the translation of the Bible and to communicate with the natives in their own language. He and Heinrich persevered in their efforts. They began preaching and baptized their first converts about ten months later. Their work was opposed both by militant Hindus and by the local Danish authorities. In 1707/08, Ziegenbalg spent four months in prison on a charge that by converting the natives, he was encouraging rebellion. More than the opposition, he had to cope with the climatic conditions in India. Ziegenbalg wrote: “My skin was like a red cloth. The heat here is very great, especially during April, May and June, in which season the wind blows from the inland so strongly that it seems as if the heat comes straight out of the oven”. Ziegenbalg began to learn write Tamil letters immediately after his arrival. The missionaries invited the local Tamil Pandit (teacher) to come and stay with them and to run his school from their house. Ziegenbalg would sit with the young children in this school on the floor and practice writing the letters in the sand, a very traditional practice that was in vogue even in early 1650s in Tamil Nadu villages. From 7 to 8 a.m, he would repeat the vocabularies and phrases that he had previously learnt and written down. From 8 a.m. to 12 noon, he would read only Malabar language books which he had not previously read. He did this in the presence of an old poet and a writer who immediately wrote down all new words and expressions. The poet had to explain the text and in the case of linguistically complicated poetry, the poet put what had been read into colloquial language. At first, Ziegenbalg had also used the translator, namely, Aleppa, whom he later gave to one of his colleagues. Even while eating, he had someone read to him. From 3 to 5 p.m., he would read some more Tamil books. In the evening from 7 to 8 p.m, someone would read to him from Tamil literature in order to avoid strain on his eyes. He preferred authors whose style he could imitate in his own speaking and writing. religion and culture. His translation of the New Testament into Tamil in 1715, and the church building that he and his associates constructed in 1718, are still in use today. Lehmann Arno, German Tamil Studies, in: Wissenbschaftliche Zeitschrift derMartin Luther Universitaet, Vol.17, Halle, 1968. Germann, W. (Ed. ), Genealogy of the South Indian Gods, New Delhi, 1984. Baierlein, E.R., Rev. : The land of the Tamulians and Its missions, translated from the German by J.D.B.Gribble, Madras, 1875, 242 p.
Beyreuther, Erich: (Tr.from German by S.G. Lang & H.W. Gensichen), Bartholomaeus Ziegenbalg, A Biography of the First Protestant Missionary in India 1682-1719, Madras, 1955, 80 p.
Buchanan, C., Rev. : Christian Researches in Asia, London, 1812, 312 p.
Hooper, J.S.M. : Bible Translation, Oxford, 1963. Lehmann, Arno: (Tr. into English by M. J. Lutz) It began at Tranquebar, Madras, 1956, 185p. Leifer, Walter: India and the Germans, 500 Years of Indo-German Contacts, Bombay, 1977. Pamperrien, K. (Translator): History of the Tranquebar Mission - worked out from the original papers by J. Ferd, Fenger, Translated into English from the German of Emil Francke, Tranquebar, 1863, 324p. Samuel G, Rev. : History of the Tranquebar Mission in Tamil, A.D. 1706 -1955, Madras, 1955, 288 p.
Sherring, M.A. : The History of Protestant Missions in India from their Commencement in 1706 to 1871, London, 1875, 484 p.
Stephen Neil: A History of Christianity in India, Cambridge, 1985. Sandgren, From Tranquebar to Serampore, Carey Lectures, Baptist Mission Press, Calcutta, 1955, 22 p.
Ziegenbalg, Dr. Daniel Jeyaraj, 2004. Tranquebar (Tamil Nadu), July 4 (IANS) This small coastal town is holding a weeklong commemoration in memory of an 18th century German missionary who not only printed the first English book in Asia but also wrote the first Tamil dictionary. 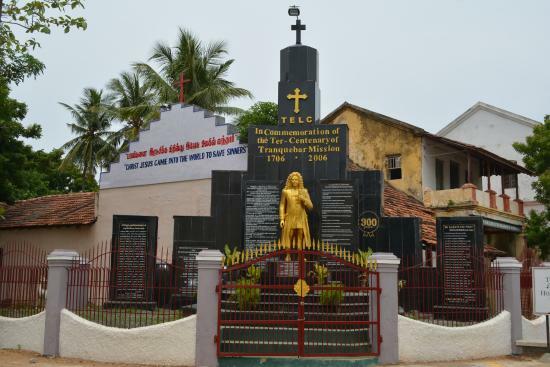 Bartholomaeus Ziegenbalg, a 23-year-old protestant missionary, arrived in Tranquebar, where the Danish set up a colony nearly 300 years ago, on July 9, 1706. The commemorations that began Monday will include a seminar on the contribution of missionaries to civil society in India as well as on the post-modern challenges to Christian missionary activity. A postal stamp on Ziegenbalg, who hailed from the university town of Halle and was sent by King Frederick IV who felt that there should be protestant priests in the tiny Danish colony, will be released on the occasion. The New Jerusalem church in Tranquebar, where he was buried, will be rededicated. Ziegenbalg was a born linguist. He quickly learnt Portuguese as well as 'Malabar' Tamil. It is said his Tamil teacher was an assistant called Ellapar, who taught him the 'Malabar' alphabets by drawing them on beach sand. He was keen on the new printing technology rather than preaching and conversion and began writing books on Tamil language, dictionaries and manuals on printing. By 1708, two years after he reached, Ziegenbalg had compiled a bibliography of 161 Tamil books he had read in a text called the 'Biblithece Malabarke', which described what each book contained.In 1709, Ziegenbalg asked for a printing press from Denmark. He also sent back to Halle drawings of Tamil types to be made into blocks. The Halle type for Tamil came to Tranquebar in 1712. It was, however, too large and Ziegenbalg got local workmen to caste smaller types, copied expertly from the Halle type, from cheese tins. His first press came in 1713 along with a printing hand, who ran away. So, Ziegenbalg recruited a German soldier named Johann Heinrich Schloricke, who printed his first book in India in Portuguese. A printer named Johanne Adler along with two apprentices arrived on the Tamil Nadu coast that same year to help Ziegenbalg's printing industry. Adler set up a type-making factory near Tranquebar to supply Ziegenbalg's press. In 1715, he started a paper mill in the village. And then Adler opened a printing ink making factory nearby. So, Ziegenbalg's press had all that it needed locally. In 1716, it printed the first book in Asia in the English language, 'A Guide to the English Tongue'. Next year, the press produced a Portuguese A B C book. The press existed for the next 100 years. There is no record of anything printed in this press after that. From the Tranquebar press, the art of printing spread to Thanjavur, Tirunelveli and then Madras (Chennai). Also to the Danish settlement of Srirampore on the Bengal coast. It is in the Srirampore Danish mission that William Carey, often credited with the first printing work in India, and others took forward Ziegenbalg's legacy. 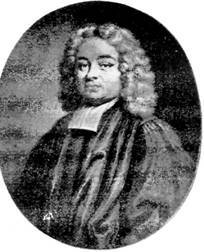 Ziegenbalg had worked on several other Tamil-German scholarly texts. These were only printed 250 years later in Halle and in Madras. Among them were texts like the 'Nidiwunpa' and 'Ulaga Nidi'. Ziegenbalg died in 1719. Opening the commemoration ceremonies, historian S. Muthiah recalled that Ziegenbalg wrote the first Tamil dictionary and translated Tamil grammar prose into Latin. He established the first Tamil-German scholarly link. He first translated the New Testament into Tamil 'Pudu Etpadu'. The function is being organised by the Gurukul Lutheran Theological College and Research Institute here and the National Council of Churches in India. It’s not hard to understand why. According to Irenaeus, Bishop Polycarp was one of the few living disciples of the apostle John, who was the “beloved disciple” of Jesus himself. Polycarp preached what he had learned directly from eyewitnesses of Jesus. His connection with Christ’s first apostles served as a bridge between the first generation of believers and those who followed, including influential thinkers and theologians such as Irenaeus, who would live to be a prominent church father in his own right. Polycarp led the church in Smyrna with wisdom and authority, having been appointed to leadership by men who had seen and heard the Lord. He was frequently called on to settle disputes or correct false teaching. Even the other leaders of the early church valued his insight. When Polycarp visited Rome, the bishop there deferred to him regarding when to celebrate the Lord’s Supper, as a sign of honor and respect. “I know you, you firstborn of Satan!” Polycarp replied. He was able to turn many away from such heresies, and thus strengthen the church’s witness. But Polycarp’s work as a pastor and leader would not continue freely. When persecution broke out in Smyrna, some Christians were rounded up for interrogation, and required to renounce Christ and bow before the Roman emperor as a condition of release. When they refused, they were tortured and executed. Eyewitness accounts from this time highlight the public brutality of the persecution. Believers were lashed until their muscles were laid bare, forced to lie down on shards of shells, and thrown into arenas to be devoured by wild animals in front of the townspeople. There are striking examples of early martyrs welcoming these sufferings in the name of Christ. One Germanicus even embraced the wild beast and pulled it toward himself to meet death as quickly as possible. But not all withstood the brutal torture. A man named Quintus, who had come forward of his own free will rather than wait to be arrested, when confronted with the beasts of prey, renounced Jesus and took the oath of fidelity to the emperor. Polycarp was undismayed by the growing public demand for his death. Rather than flee, the old bishop even resolved to remain in the city, where they could easily find him. His companions eventually convinced him to retreat to a farm outside of town, where the threat to his life was less immediate. There he spent his time in prayer, interceding for members of the church throughout the world. Polycarp prayed so earnestly that one hour became two, and several of the soldiers regretted their role in his arrest. Not long after, the Roman authorities captured two slaves. One of them broke down under torture and revealed the location of the farm where Polycarp was staying. When soldiers arrived on horseback to seize him, Polycarp refused to run. Instead, he offered his captors hospitality and food, requesting only that he be allowed an hour for prayer. 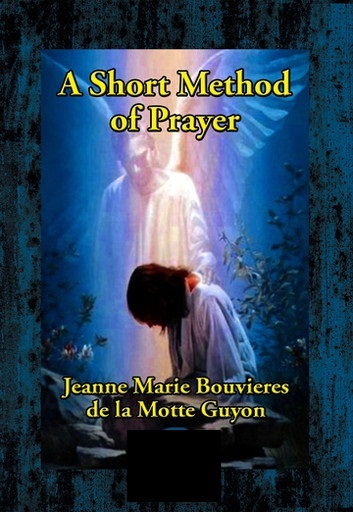 When they agreed, Polycarp prayed so earnestly that one hour became two, and several of the soldiers regretted their role in the arrest of such a venerable old man. They then put Polycarp on a donkey and led him back into the city. Upon arrival, his captors ushered him into the carriage of a man named Herod, the captain of the local troops. Herod tried to convince Polycarp to save himself. “Why, what harm is there in saying, ‘Caesar is Lord,’ and offering incense?” When Polycarp refused the very suggestion of renouncing Christ, the official grew threatening and forced him out of the carriage so roughly that he injured his shin. Turning with a grim look toward the crowd calling for his death, Polycarp gestured at them. “Away with the atheists,” he said dryly. The fire formed a circle around him, but his body did not burn. The proconsul sent his herald out into the arena to announce that Polycarp had confessed to being a Christian. At this, the assembled crowd seethed with uncontrolled fury and called for Polycarp to be burned alive. Quickly, they assembled a pyre, gathering wood from workshops and the public baths. 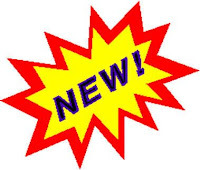 Polycarp removed his clothes and tried to take off his shoes, though his advanced age made it difficult. His guards prepared to nail him to the stake, but he told them calmly, “Leave me as I am, for the one who gives me strength to endure the fire will also give me strength to remain at the stake unmoved without being secured by nails.” They bound his hands behind him. Polycarp offered a psalm of praise and thanksgiving to God. His captors ignited the wood. According to observers, as the flames grew, they did not consume Polycarp as expected. The fire formed a circle around him, but his body did not burn. Since the fire did not have its intended effect on Polycarp’s body, an executioner was ordered to stab him to death with a dagger. His blood extinguished the flames. Observers that day were shocked by the contrast between Polycarp’s martyrdom and the deaths of non-Christians they had witnessed. They beheld the same faithful discipleship in Polycarp’s death that had characterized his life: a humble acceptance of God’s will; praise of God in the most extreme trial; and a joyful, unwavering commitment to Christ even when faced with death. 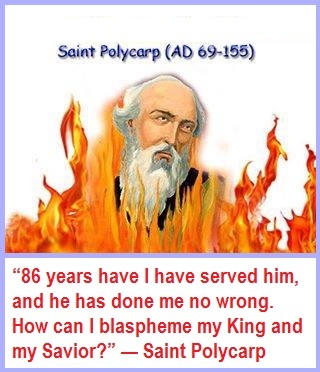 Polycarp’s was among the first recorded Christian martyrdoms. His steadfast obedience to Christ was a powerful testimony, an inspiration not only to the church he pastored so faithfully in Smyrna, but to Christians throughout the centuries. Taken from three different sources: “The Martyrdom of Polycarp” in The Ante-Nicene Fathers, edited by Philip Schaff, et al., translated by Marcus Dods (Peabody, MA: Hendrickson Publishers, 1996) is the most complete account. History of the Church in Nicene and Post-Nicene Fathers, Series 2: Eusebius, edited by Philip Schaff, et al. (Grand Rapids, MI: Wm. B. Eerdmans, 1984) includes valuable commentary by Eusebius. Finally, Irenaeus, Against Heresies, translated by Philip Schaff; edited by Alexander Roberts, et al. (Grand Rapids, MI: Wm. B. Eerdmans, 2001) contains details on Polycarp’s earlier life and character.